Have you heard the story about the founder who walked into a room full of investors and came out with $5 million of startup funding? Or the one about a founder who was juggling startup company funding offers from two angel investors at the same time? There are plenty of lists and tips out there about startup funding. But chances are, even if you’ve read a few of them, it’s still difficult to know what to do next. And so! And so, we have put together a practical, step-by-step ebook to help you understand how startup funding works, and how and when to get it. The ebook is particularly for earlier stage startups who have probably put their own money in, might have done a friends and family round and are looking to scale up and fund their next stage of growth. Why listen to our startup funding advice? As dedicated startup accountants, we help startups raise funds all the time. Collectively, our clients have raised funds and completed exits worth more than $50 million through tax incentives for startups, R&D forward financing, private funding, venture capital and trade sales. We’re not typical accountants. Our directors have worked for venture capital firms. And they’ve worked at the coalface inside their own startups, and as CFO or virtual CFO for others. In short? 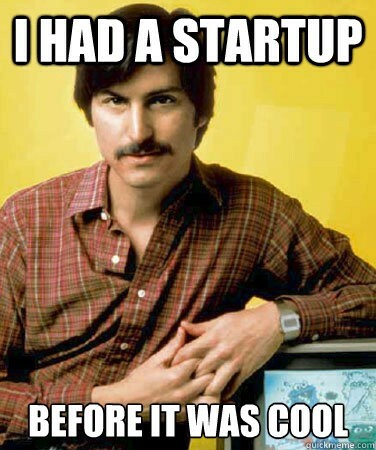 We get startups! And we believe it’s our job to help you understand and access your funding options. Hang on, where’s the ebook? If you’re not seeing the pop up on this page asking if you’d like to download the ebook, please email us on mail@standardledger.co and we’ll send it straight to you. We sincerely hope you find it helpful on your path to scale up and stay up. Let us know if you have any questions, otherwise – go well!